Network switch and router are two basic devices utilized in computer networks. However, many people have no idea how to use them and set up a switch with a router. Next, let’s find out the difference of network switch vs router and learn how to set up a switch with a router in detail. A network switch, normally referred to as a multiport network bridge, is a computer networking device that connects other devices together on a computer network. It manages the flow of data across a network by transmitting a received network packet only to the one or more devices for which the packet is intended. Then, how does a network switch work? Normally, a network switch uses hardware addresses to process and forward data at the data link layer (layer 2) of the OSI model. While, sometimes, it can also process data at the network layer (layer 3) by additionally incorporating routing functionality. It allows different nodes (typically computers) to communicate with each other in a smooth and efficient manner. Nowadays, Ethernet switch is the most common form of network switch. 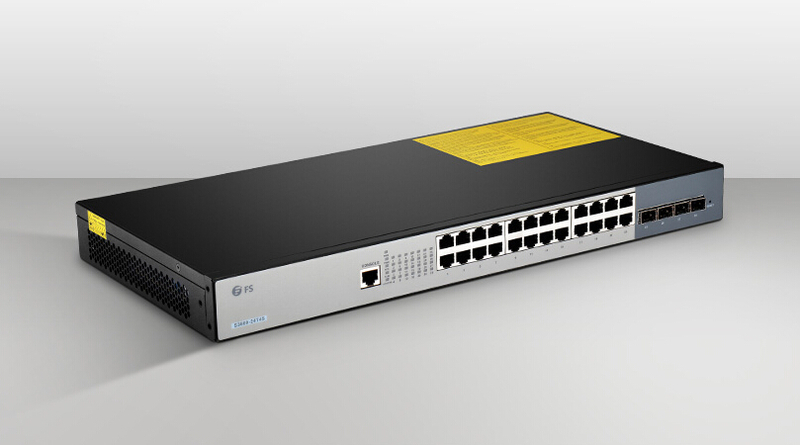 In addition to one of its most normal type gigabit Ethernet switch which used at earlier time with a lower speed up to 1 Gbps, another type, 10GbE switch is also very popular with a higher speed up to 10 Gbps. 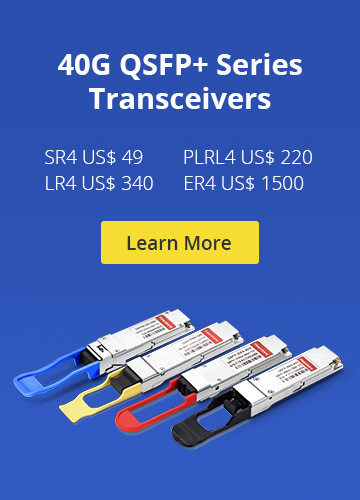 Actually, 25G, 40G or even 100G switch have aroused more attention with much higher speed. These Ethernet switches come with different port numbers of 8/16/24/48 ports and port configuration of RJ45, SFP, etc. A router is a networking device that routes data packets between computer networks. It is used to connect networking devices to the internet so that multiple users can share a connection. Normally, a router works as a dispatcher. It directs data traffic from the modem and route it to various devices. Routers uses protocols such as ICMP (Internet Control Message Protocol) to communicate with each other and configures the best route between any two hosts. Most routers have four Ethernet ports which allow you to plug in up to four devices. 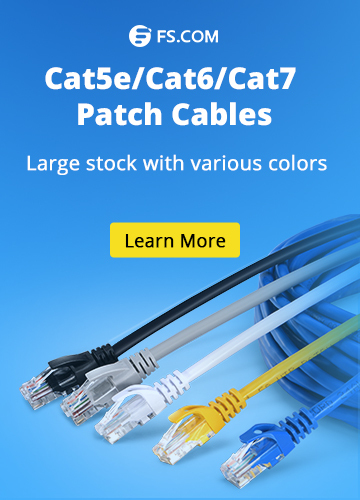 If you need more than four Ethernet connections then you need to upgrade to a router with a larger port bank (usually up to eight ports) or to use a network switch instead. From the introduction above, it is clear that network switch and router are both computer networking devices that allow one or more computers to be connected to other computers, networked devices, or to other networks. While switches allow different devices on one network to communicate, routers allow different networks to communicate. Actually, a switch creates networks while a router connects networks. By the way, routers can be used in LANs, WANs, and MANs because they have both WAN and LAN ports, while switches can only be used in LANs. In addition, a router uses IP address for data transmission, while a network switch uses the MAC address. If you have less than 4 devices to use in one network, you can use one router connecting a modem and don’t need to expend your network. However, when the number of devices is over 4, a network switch is necessary. You can use the network switch to expend your wired network with more ports. There are various switches of different port counts such as 8-port, 16-port, 32-port switch available in the market. Step 1: Unplug all the power supplies of cable modem, network switch and wireless router. Step 2: Connect your modem to the telephone wire. After that, connect one end of an Ethernet cable to the Ethernet port on the back of the modem. Step 3: Plug the other end of the Ethernet cable connected with modem into your router’s WAN port. Step 4: Use another Ethernet cable to connect one of your LAN ports in router to a network switch port. Step 5: Plug the power supplies of three devices. After the setup, your network is expended and you can connect more than 4 devices using the internet. All you need is to connect the additional devices to the switch’s normal port with straight cables. With all the information mentioned above, it is obvious to tell the difference of network switch vs router, after which you can have a good command of how to connect a network switch with a router better. Normally, the connection order of the devices is modem -> router -> switch -> devices. Ethernet Network, switch how does a network switch work, network switch, network switch vs router, switch to router configuration. permalink.